Geoffrey Ronoh will return to the city where he staked his claim as one of the rising stars of road racing last year when he lines up in the Birell Prague Grand Prix on September 5. The Kenyan is the defending champion and course record holder with 27:28 for the 20th edition of this Saturday evening 10k race, one of the seven events in the RunCzech Running League. 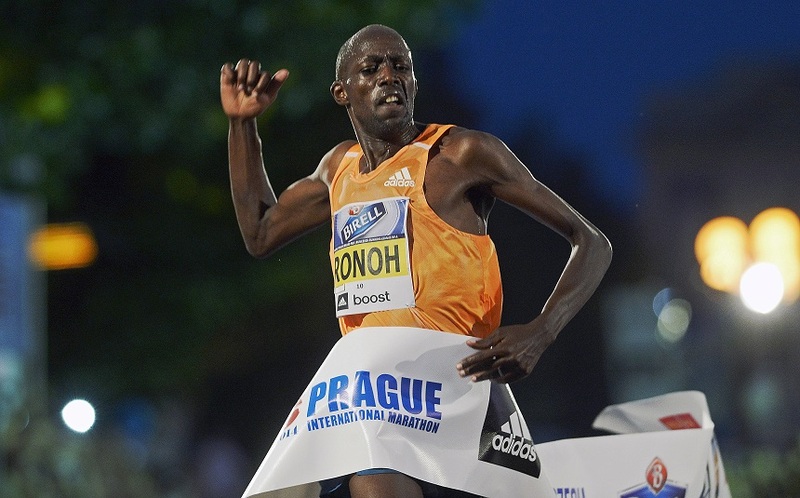 Now recovered from injury which hindered his progress in 2015, Ronoh beat the renowned marathon runner Geoffrey Mutai by four seconds a year ago. 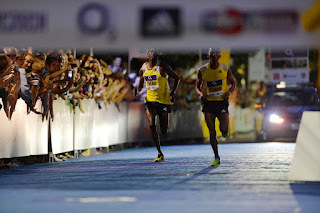 He will need to be at his best, given that his rivals include compatriot Daniel Chebii, whose personal best of 27:35 was set in winning this title in 2013. Amos Mitei has the potential to surprise the more established stars, since the 21-year-old Kenyan ran 27:42 to win the Nairobi 10k at altitude last year. A strong women’s field includes the vastly experienced Caroline Kilel of Kenya, the former Boston Marathon champion and her compatriots Viola Jelagat, second in the Mattoni České Budějovice Half Marathon, and Linah Cheruto, who has already proven her talent with a second place at the Mattoni Karlovy Vary Half Marathon in the RunCzech Running League earlier this year. They have the ability to put the women’s course record of 31:05, set last year by Correti Jepkoech of Kenya, under pressure. The Birell Prague Grand Prix is an IAAF Gold Label race, the highest category for road racing events. “The start list of the Birell Prague Grand Prix proves that RunCzech races are becoming a real running league. Winners of last editions and other races like to come back so RunCzech is slowly creating their own running stars,” says Carlo Capalbo, president of the organizing committee. Prague is a familiar city for Geoffrey Ronoh these days, and even when not at peak form in a year when injury has hindered his development, the Kenyan has been consistent on his previous two appearances in 2015. He finished eighth in the Czech capital’s half marathon in late March before setting a personal best of 2:10:52 for fifth place in the Volkswagen Prague Marathon. If he can return to the form of last year when he not only beat Geoffrey Mutai but left the then world record holder for the marathon, Wilson Kipsang, trailing to win the Mattoni Olomouc Half Marathon in the RunCzech series last June, then the first Saturday night of September in Prague should provide spectacular road racing. His rival Daniel Chebii has plenty of experience on the road racing circuit in the Czech Republic, including victory in this event three years ago and a half marathon win in the city of České Budějovice in 2012. Also returning after recent success is the Kenyan Josphat Kiptis, winner of the Mattoni Olomouc Half Marathon title in late June. Five men have broken 28 minutes in their careers on an entry list which offers the prospect of strong competition. The women’s field also has numerous contenders who have demonstrated their abilities in the RunCzech series: Viola Jelagat proved to be in a very good shape this summer when she finished third in a 10K race in Iten in a strong competition of African athletes. The Kenyan has already competed in the Prague and Olomouc Half Marathons this year with a best placing of fourth in the Czech capital. She should be capable of going under 32 minutes for the first time. Caroline Kilel has a best of 31:36 and her consistency makes her a threat at any distance. Ethiopia should also have a say in the outcome with Amane Beriso in prime form this year, clocking 32:06 on her way to winning the Ostia Half Marathon in Italy on March 1. Two women return to racing after maternity breaks and both have proven pedigree: Shitaye Eshete of Bahrain, sixth in the World Championships 10,000m in 2013, and Poland’s Karolina Jarzynska, a 32:09 performer. A week after the Birell Prague Grand Prix, the RunCzech series continues with its sixth event, the Mattoni Ústí nad Labem Half Marathon. Among the elite making the transition to the longer distance will be the Kenyans Daniel Chebii and Amos Mitei from the men’s field and Caroline Kilel of Kenya, Amane Beriso of Ethiopia and Shitaye Eshete from the women’s. For Shitaye it will be a half marathon debut.